Add On Manager- provides bigger space for the management of favorites, plugins and themes. HD Video: supports the WebM format and delivers HD-quality hardware accelerated HTML5 video on the web. Supports HTML5- leads to a better HTML parsing. Full WebGL Support- helps in browser 3D rendering. Improved Performance- with necessary security improvements to protect browser history makes it safer than the earlier versions. 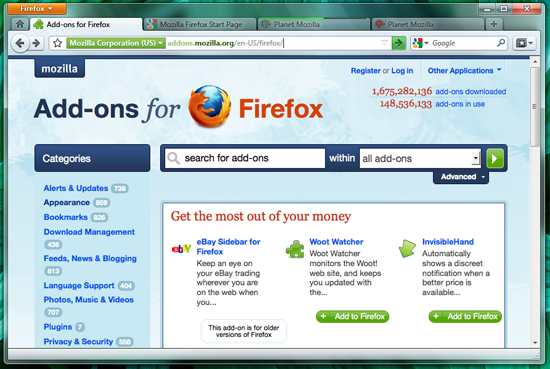 Download Firefox 4.0 for Windows, Mac or Linux OS here.